If I was a little critical of Aussie poker and players before I got to Melbourne, I was about to be very humbled. The Crown Casino is probably the biggest and best casino for the poker player outside of Las Vegas. The casino hotel was amazing and I had to take short breaks walking across the miles of gaming floor on my way to the card room. Unlike a lot of casinos, the card room isn't tucked away in a corner cramped away from the slots. The Crown card room is huge, spacious and well staffed. There are at least 50 tables, a dozen automated Pokerpro self dealt machines and even a special high rollers section. There is a big mix of cash games as low as $0.50/1 and the stakes can go as high as you like (Tony G was organising a $50,000 Sit and Go if I remember rightly). The standard of play, rake structure and blind structure were all so much better here than in Sydney. You can always have 100 big blinds and the table charge was a small percentage of the pot and a one off charge. There were some godawful players but also some very good ones, and I actually recognised a few faces (Including Mel Judah, Joe Hachem and Lee Nelson) across the floor. I registered for the $200 rebuy PLO tournament and the difference in ability here than in Sydney struck me hard in the face. Omaha isn't by any means my best game, I do ok but not great, and these Aussies knew how to play with four cards in their hand. Luckily I manage to fold my way into the money and somehow, the final table. I return the next day for a very tough final table. Lee Nelson, Tino Lechich and up and coming Australian pro Julian Thompson. Normally I would be a little intimidated by Lechich or Nelson; but having never got to the final of an Omaha tournament before I had no idea how to play end game strategy, which actually made it difficult to question my abilities when I clearly didn't have any. I manage to fold my way to 4th and I was completely knackered (we were playing late the previous day and the final started early the next). However, I had registered in advance for the hold'em event, which was just about to start. I was like a zombie at my table, and apologies to anyone who played with me who might have thought I was rude. For about 7 hours it seemed the only actions in my arsenal were to muck my hand or announce all-in. I actually did fall asleep at my table at one point and another I was so tired I couldn't count my chips properly, which led me to believe I was well above average, when in fact I was very short stacked and really shoved have been pushing all in. If I folded my way to 4th in the Omaha, I slept my way to 14th in this one. By the time I was eliminated I was half the man I used to be. Now I'm home and over the jetlagged I am very proud to come 4th then 14th in back to back large field events, but I was gutted at the time as I really wanted to make back to back finals. If there is one huge myth about Australians, it is that they are big drinkers. They are not in the slightest; very few bars have pint sized glasses and most pubs are empty by ten o'clock. So on my last day there, my friend Nick Wright and I decided to show them how its done in the UK, drinking not playing, as we got drunk and hit the cash tables. In the UK I'm not sure our drunken banter would have been welcomed, however the Australian players were very receptive. It may have been because we were buying the table drinks, more likely because we were spewing chips left right and centre. Somehow though, the poker gods smiled on us, as we both got hit by the deck in our drunken faces. 'Drunk' is a fantastic table image to get your big hands paid off. I ended up about $11,000 up as I made my way back home to Blighty the next day, a sum which I managed to fold/sleep/drink my way to more than anything. My parting thoughts about Australian poker are all very positive. Australians are very loose and just as importantly very friendly poker players. You feel very welcome at a poker table in Australia, and I would liken the experience to playing in Ireland (but just a little hotter). And big praise for the Crown Casino and anyone involved with the Pokernews Cup. 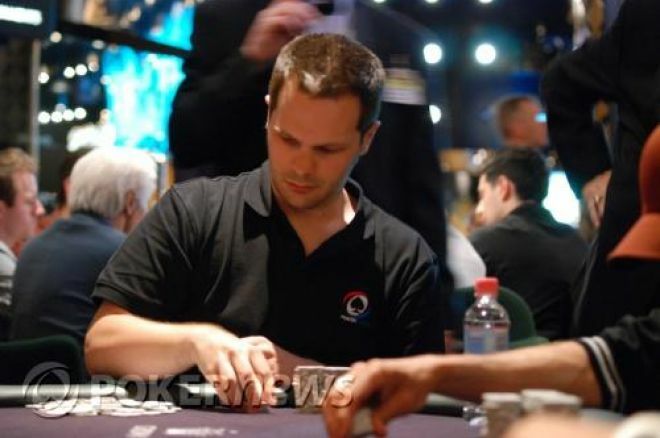 The card room is light years ahead of most found outside of the states and the big field tournaments were a testament to all the hard work and dedication that Pokernews put into the event. From the Felt Down Under: Bad Luck you Aussies!